If you hit the stores to buy packaging materials for your product, you may have to encounter different types of packaging. It is vital for a business owner to be able to distinguish between the types available and identify the type that is best suitable for their product. We present you a list of categories of packaging supplies available. • Food Packaging: Under this category comes all the different types of dry food packaging, including spices and seasonings, meat and cheese, flour and grain, salad dressings, sauces and soup, baby food, popcorn, granola and cereal, candy and chocolate, dry fruits, baking mixes and more. You can have different pouch styles in these. 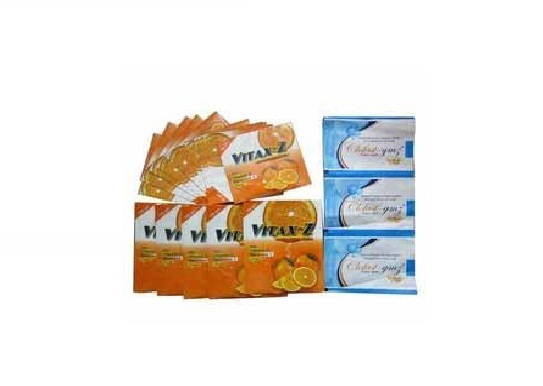 • Health Food Packaging: This category includes, vitamins and supplements packaging, protein powder, organic food, vegan food, gluten free, sugar free and preservative free packaging, vegetable and fruit packaging. The packaging for food products varies from type to type. • Coffee and Tea Packaging: All different types of tea and coffee packaging come under this category. Printed laminated rolls or stand up pouches or both, might suit your business requirements. • Pet Food Packaging: Pet food product packaging includes food and food supplement packaging for animals. High quality, quad-seal food packaging is in high demand these days in this category. • Medicine Packaging: Packaging for pharma products is designed keeping barrier properties, stability and sturdiness in mind. You must look for a high-level protection when it comes to pharmaceutical product packaging as the risk involved is more. • Liquid and Spout Pouches: Detergent and soap pouches are highly used as it is sturdy and safe as compared to boxed soap. Soap packaging that uses several layers of barrier film keeps the fragrance and quality intact inside. This category includes, oil, juice, sauces, syrups, cooking oil, vinegar and anything liquid you can think of. • Non-Food Packaging: Under this category comes, garden, chemical, automotive, electronics and other non-food items.